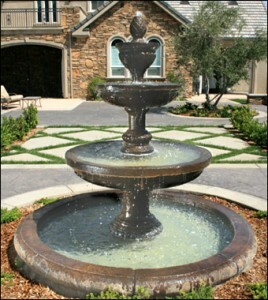 Outdoor Water Fountains are a beautiful piece of artistry adding enjoyment to any garden scenery for years to come.Elite world of fountains and statuaries products are known for their meticulously crafted Outdoor fountains that are on Sale from the Factory and built with high quality concrete that is designed to inspire your world. The greatest Gift of the garden is the restoration of the five senses. These fountains are worth a thousand words. 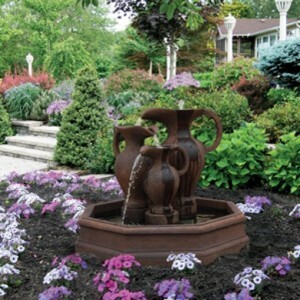 When choosing a fountain, consider its placement and surroundings. Consider whether a free-standing fountain, viewed from all directions, would be best or a wall-mounted one. It should blend with the surroundings. A classical fountain might look out of place next to a contemporary home or patio, however, a Victorian fountain might go well with an older home. You’ll probably want to place the fountain near a window, deck, patio, or walk where it can be enjoyed. Consider placing it near a home, so the running water can be heard when windows are open. Click on picture left to enlarge: Shows our Lg134-faw9 Mediterranean fountain . In front of your home or business is one of the best places to put any type of large fountain that shows beauty to the eye of the public and owner. For a lot of centuries, Outdoor Water fountains have made available both equally calming peacefulness and invigorating attractiveness. No other yard decor will be the coronary heart of social gatherings like a beautiful garden fountain. More and more right now, fountains are seen in many public spots this kind of as indoor malls, parks, place of work structures, and offices. Fountains add a huge level of enjoyment on your house and add value on your house when made use of with the outside landscaping region and might be purchased for almost any price tag you may envision. A range of $200.00 and up to several thousand dollars. Over all The falling waters of yard fountains offer that tranquil, peaceful experiencing which have been so precious to us after a tricky day’s work. With our lifestyles, obtaining the opportunity to genuinely unwind is so vital to us, plus a yard fountain with its cascading falling water can execute that. Also, the falling water seems gives you a white sounds that drowns out the hustle and bustle of our every day lives. Outdoor Water Fountains: like the roman vases octagonal pool fountain # 3867 – Click on picture to the left to enlarge: Fountains are experienced in lots of outside yard areas currently and is apparently something which is becoming additional common. Folks are acknowledging the benefits that a back garden drinking water fountain delivers. 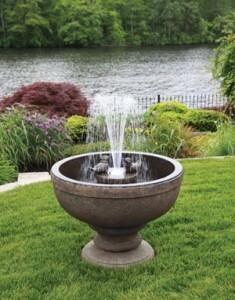 Yard fountains range between a little tabletop fountain to some grand yard fountain into a pool fountain to an additional conventional traditional tier fountain. For all those subsequent; fountains would be the image of prosperity and abundance. Fountains also are well-known for their well being rewards. First of all, they add humidity on the air in a dry local weather of for that drier seasons from the calendar year, these types of for the reason that winter months. Secondly, fountains release detrimental ions into your air and that is what tends to make us truly feel greater and develop our mind-set. Bad ions are negatively billed particles launched by falling drinking water, and appeal to positively charged dust and mold spores. Outdoor Water Fountains : Like the 26″ Fleur De Lis Bird Fountain # 3712 – Click on picture to the left to enlarge: Many of us definitely love to watch birds feed and flutter within a bird bath. Birds like taking part in moving water more than stagnant drinking water, so providing a bird bath fountain during the spring on the calendar year with the summer season and fall months will supply endless hours of enjoyment as the birds flutter and play inside a bird bath fountain. During the winter months in colder climates, your birdbath can work as a feeder for your winter feathered friends. By draining the water from your birdbath fountain during winter months when it can freeze, provides a beautiful and safe haven for birds to feed. Place a plastic liner inside the bowl to protect the pipes, secure with some stones and fill with seed. Now you can enjoy birdwatching and enjoy your birdbath fountain year round, the birds will love you for it. Just before spring after the last freeze and the weather starts to warm, remember to remove the liner and clean any seeds and/or debris before refilling with water. Taking care of your birdbath fountains each season will ensure it lasts a lifetime.